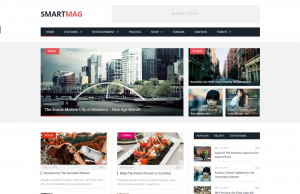 Flex Mag is a beautiful blog, magazine and news template created in September 2015, by the American Envato Power Elite author, MVP Themes. This elegant item is available on Themeforest, a market that uses different templates and styles to create a highly stimulating news, blog, portfolios, and journal website. Flex Mag is loaded with features and pre-built layouts designed to help you create an appealing site. This template was carefully designed with multiple Featured Post layouts for showcasing your content on the homepage, infinite scrolling with auto-loading, and can be used to create a one-page website using Parallax visual effects. Loaded with features like Sticky Sidebars, custom-built widgets, four skins to change the general aspect of your website, Flex Mag is an interesting theme to explore and discover. The usage of the logo location is a smart solution the author applied in Flex Mag. Without being able to change to header style, you can choose between three different ways to display your logo in the main area of your website, Leaderboard, Nav or Wide. 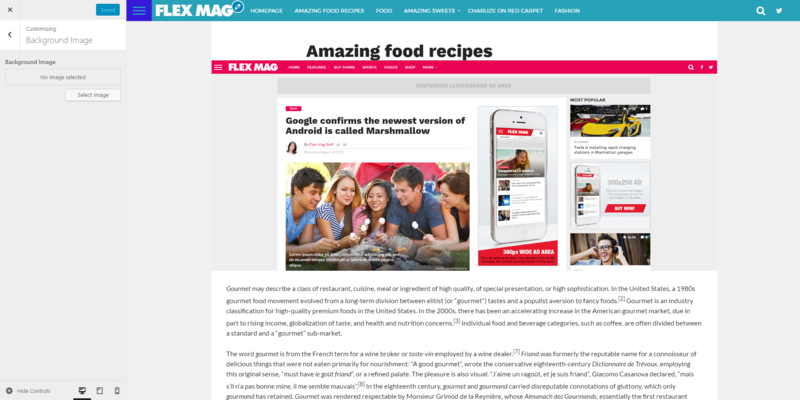 Flex Mag can have four general skins, featured post layouts and templates perfect to add fluidity to your site. Flex Mag Options panel includes all the usual, basic settings. 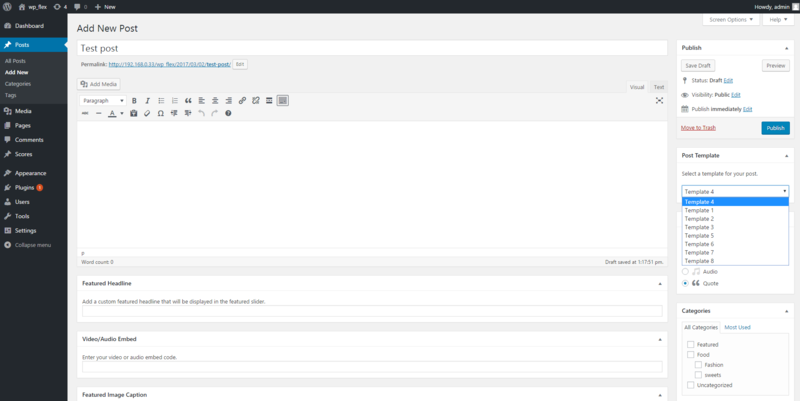 In a separate tab, called ‘Background’, you’ll be redirected to the theme’s customizer where you will discover that an image can be set as background. This background image can be fixed or can scroll down as you navigate. The theme authors also included an ad system that allows you to use your ads and adjust their size, in height and width. 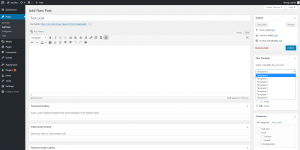 If you are an experienced WordPress user, willing to fully customize your website and not lose the primary file data, you’ll be glad to know that the template has a child theme included. 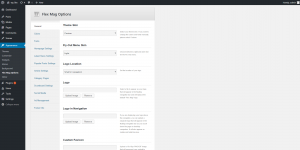 Combining the Flex Mag Options panel and the theme’s customizer, you can set up a beautiful website, using simple settings and no coding skills. The theme design is responsive and Retina Ready, opening your site to mobile users. Flex Mag is also compatible with WooCommerce and bbPress forums. In our era, time has become a precious commodity. We value a product by the benefits it offers, but we also judge it by the speed its output is delivered. We have tested Flex Mag default demo on different page speed tests, and it loads the content at a low speed. Flex Mag theme doesn’t have a page builder, but you can combine the website predefined templates (skins), nine homepage layouts with featured post option to reach the structure you desire. This process can be time-consuming and frustrating especially for beginners. Although you can customize this combination of options, layouts, and templates, somehow a News and Magazine website could use more versatility in the page building process. Lightbox effect, video playlists, reviews system and support for RTL are, also, missing from Flex Mag theme. 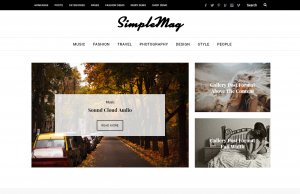 The Flex Mag theme is well developed for commercial blog concept. With Flex Mag Options and the Customizer, the website will have the desired interface for your articles and pictures in a highly stimulating news, blog, portfolios and journal website.